Join us as we discover the beautiful north-western region of Crete, the largest and most varied of the Greek Islands, on this sociable walking holiday. Marvel at the views of the Cretian coastline and look forward to social taverna evenings, the perfect way to finish off a day’s walking! Based in the small and unspoilt coastal town of Kastelli-Kissamos we will be entertained and guided by our local hosts, Stelios and Angela. Their regional knowledge and great sense of hospitality really shine through during the week and they encourage us to try out the local Greek cuisine. 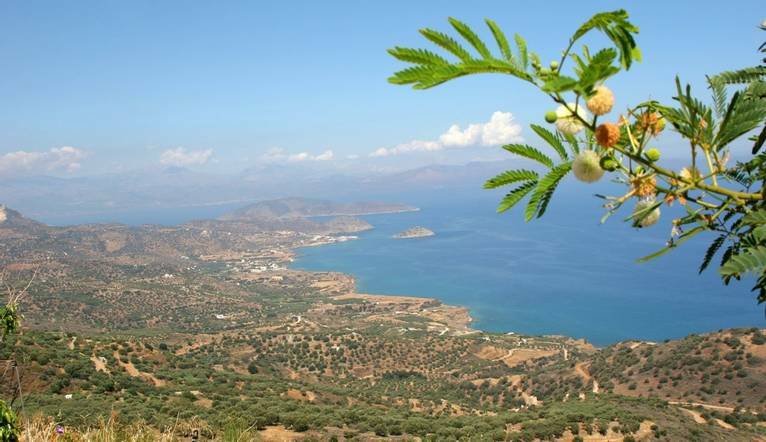 They have combined a varied selection of walks, introducing us to typical village life and the unspoilt and unique scenery of Crete. During 5 guided walks on quiet country roads, goat paths and through hilly terrain, we will experience stunning vistas, deep gorges, views of mountain peaks and turquoise lagoons. We soak up the secluded coastline and inland scenery, passing through timeless villages along the way. One of our walks starts at the ancient fortified city of Polyrinia. From its vantage point of 418m we’ll have spectacular views down to both the Cretan and the Libyan sea, before descending down to Kissamos. You can visit this beautiful Venetian harbour town that has excellent restaurants, shops and a great atmosphere by the local regular bus service. The journey takes approx. 1 hour.